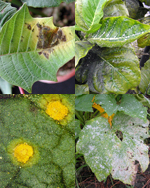 The natural power of certain plants to defend themselves against pests, concentrated in their essential oils, allows you, using them wisely, to avoid the colonization of your gardens and terraces, by those pests. Without having to trigger an ecological disaster, or your health to suffer the consequences. If you want to avoid either being bitten, or finding worms in your fruits, you can use essential oils to ward off insects, in your gardens and terraces. A blend of ten different plant species is active against most common garden insects and provides lasting protection. There are ways to act naturally against the moss, mold, fungus, and mildew, which can invade your plants and walls. 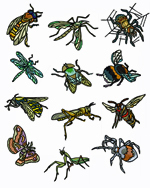 Some spraying of oils with fungicidal powers will allow you to control these pests, and to see them ... disappear! 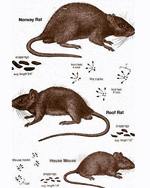 Our rodents, rats and mice, will make a wide detour to avoid the Mint, even if they have to change their habits! You can quickly make these unwanted visitors understand that you want to claim your flowerbeds. 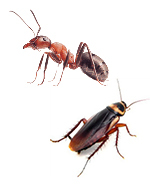 Against the recurring problems of Ants invasions, a natural blend specially designed to make them go away! A complete method intended to treat invasions, to block their passageways, and to eliminate those insects from your plants, gardens, terraces.